These sheets are perfect for anyone hot wire cutting wing cores for RC Planes. Please choose whether you would like the foam delivered in 1 complete section or cut in half. Are you making an RC Airplane and need foam to hot wire cut your wing? Look no further! 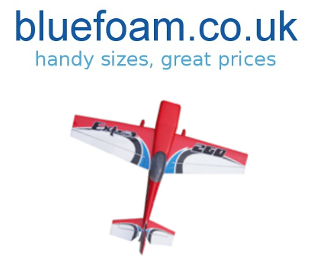 We specialise in custom sized lengths of Styrofoam perfect for wing making. If you need a size that is not listed please get in touch and it won’t be a problem.